Really nice location!! Nice staff!! The breakfast really good! 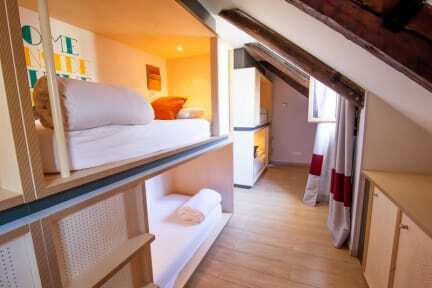 I loved this hostel! Actually you almost feel that you are in a hotel. The only thing that I didn’t like was that they didn’t give us a padlock to our locker. If you don’t have onde that is bid enough you have to buy one there for 7€. Overall experience: really really good! Definitely recommend it! Clean hostel with good location. I really enjoyed the facilities and most of the staff. However, the manager decided not to give us back our deposit just because of a 30 minute delay on the checkout. He was also very rude to us. 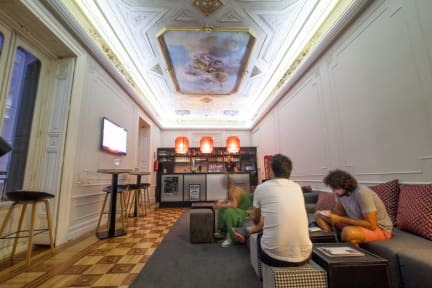 I understand that there are rules and they must be respected, but hostels need to be a bit flexible in these types of situations. There is also no excuse for rudness towards your customers.